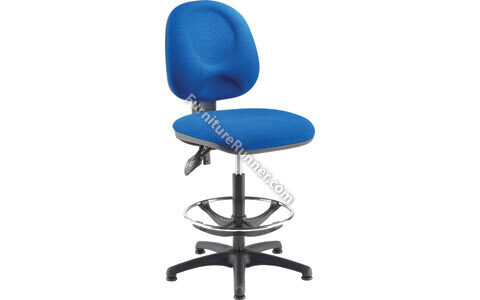 Arista Adjustable Draughtsman Chair - Recommended usage time 8 hours. Seat dimensions: W465 x D470mm. Back dimensions: W420 x H400mm. Seat height: 580-830mm. Adjustable foot ring.